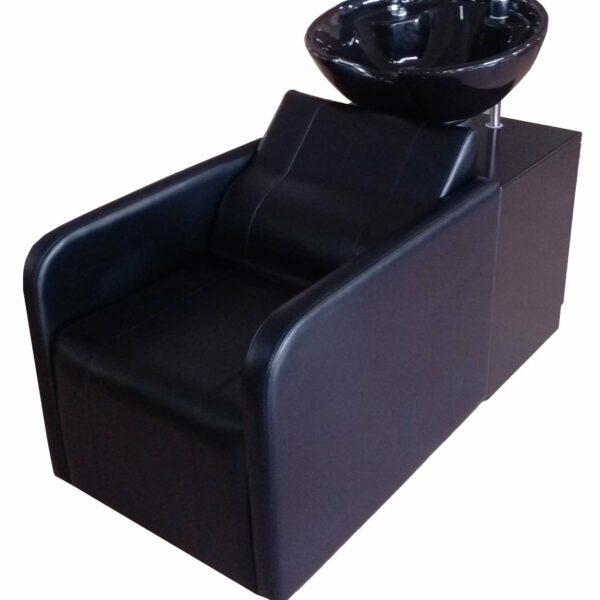 Trendy Capri shampoo unit is appealing, It gives you a roomy bowl on the backwash unit that leaves all the space you will need to wash and shampoo your clients hair. 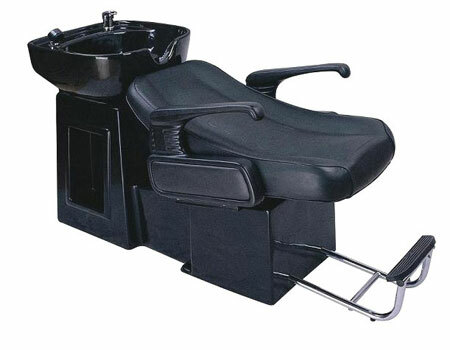 You will be able to adjust the angle of the bowl, and pull out the footrest on the chair so that anyone who sits down is just a few easy steps away from being content. 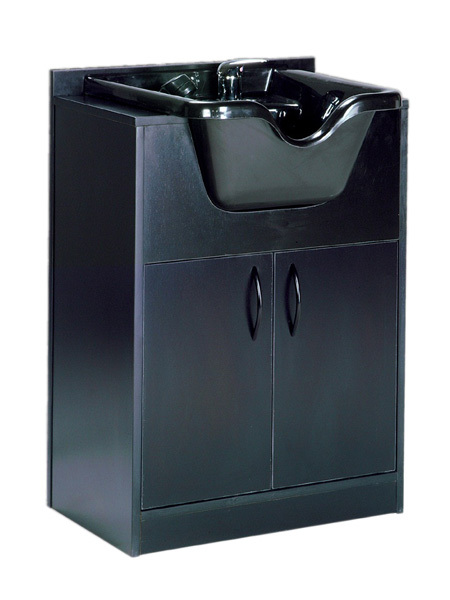 This free-standing wet both unit is very popular. 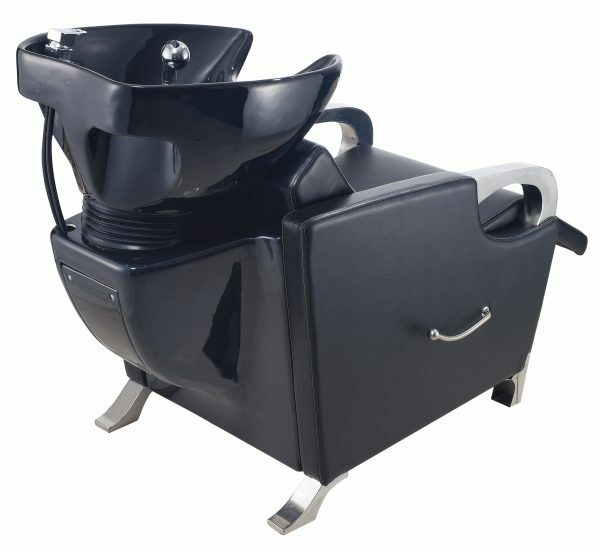 Made of solid laminate, it features a wide easy to clean work surface. 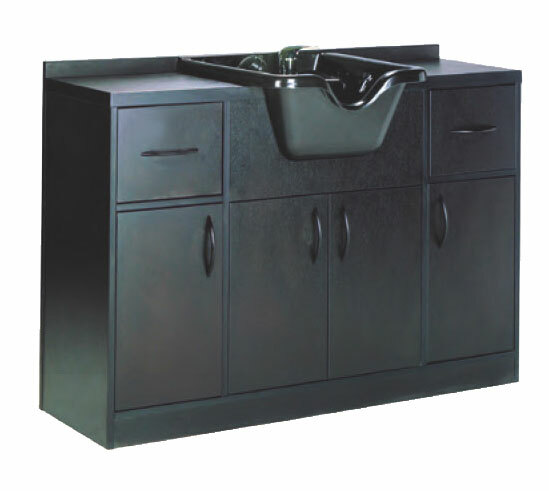 The large storage cabinet comes with two doors and chrome handles. 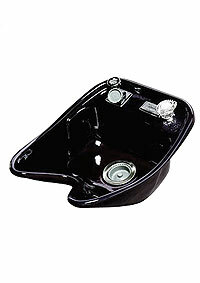 This unit comes complete with fitted shampoo bowl and all of the necessary hardware. 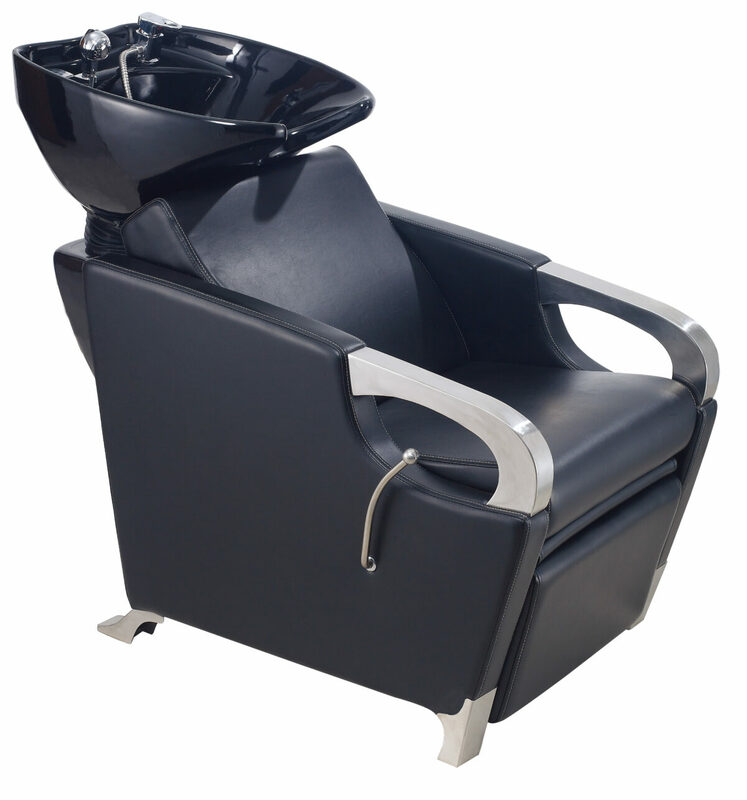 Spray hose, faucet and drain assembly included.The shampoo chair or various reclining all-purpose chairs which can be used with this wet station are available to be ordered separately. 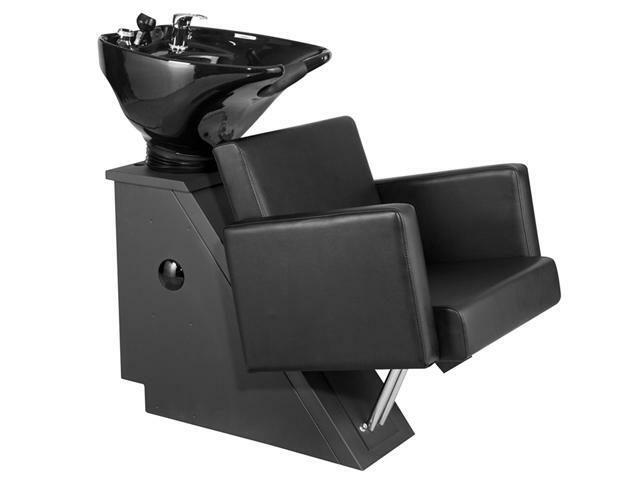 Dimensions and Details Height: 38" Depth: 24" Bottle Well: 7"
The Kate Shampoo Chair has an Auto-Recline Seat Back which slides back as your client leans back. 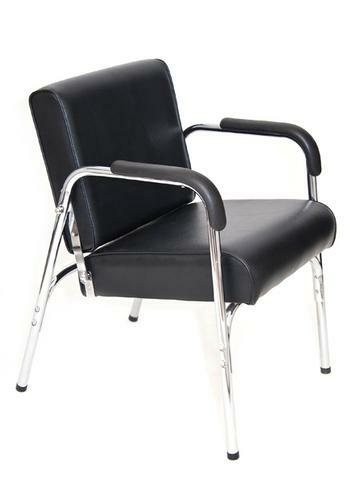 This Chair has Heavy Duty Chrome Arms for added Support for Larger Clients. 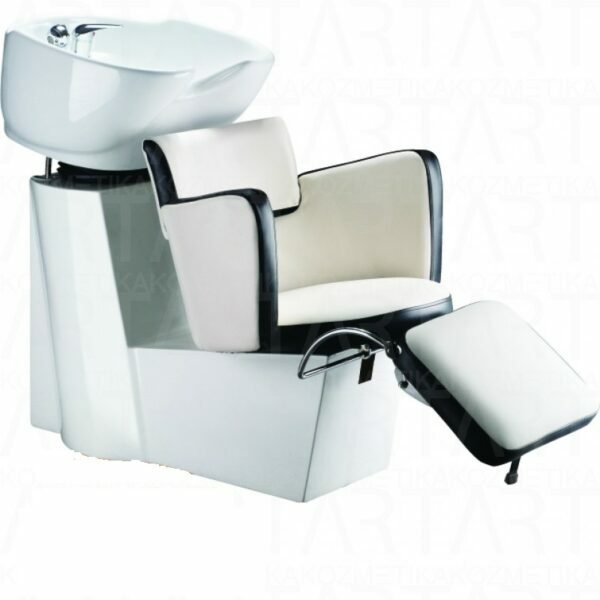 The chair also comes with an Extra Thick Seat and Back for Added Comfort for your client. 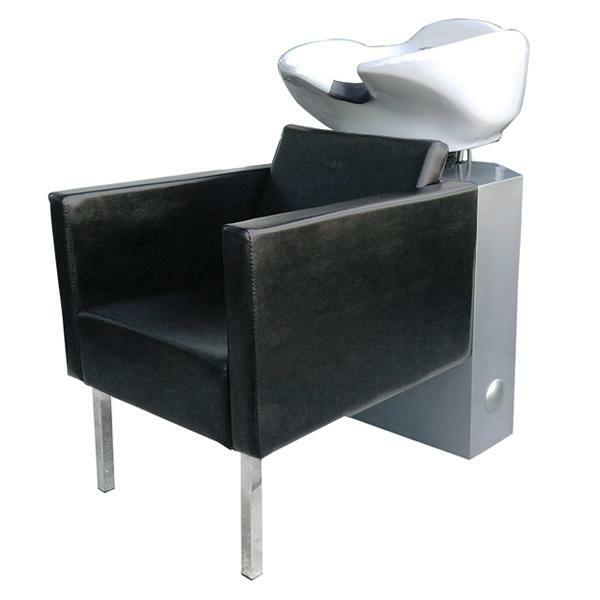 This is our number 1 selling shampoo chair. 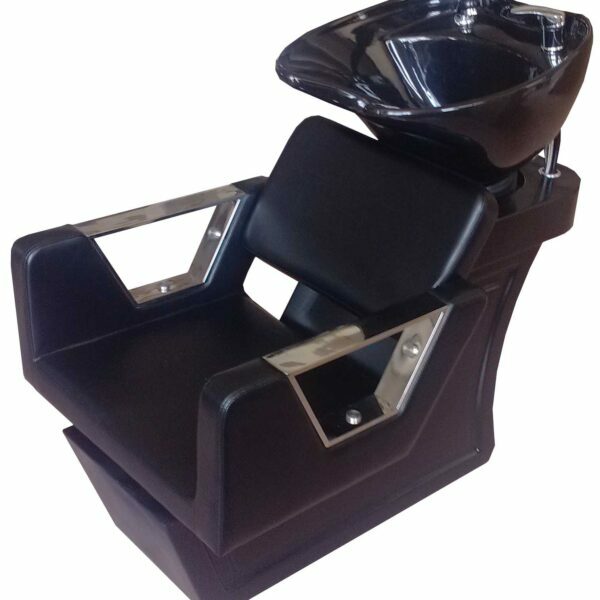 It is very durable yet very affordable making it a great purchase for any beauty salon or barbershop.